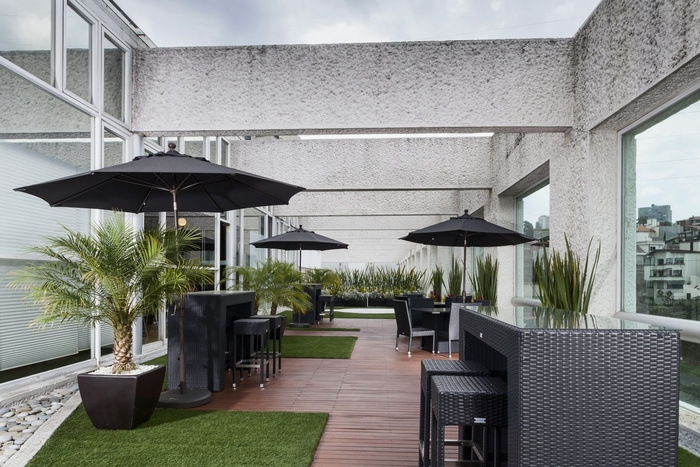 SPACE has designed the new offices of fragrance company Yanbal, located in Mexico City, Mexico. 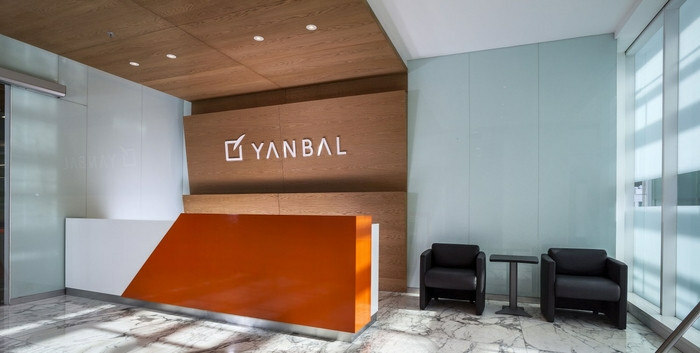 Yanbal is interested in attracting, developing and retaining TALENT. The principal value of Yanbal lies in people, and for this reason variable solutions were taken into account in order to satisfy the needs of all its communities. It is very important to make these offices a space which permits flexibility for future growth and restructuring. Today’s market and the very high level of competition make it necessary to look for more creative forms of work (the creation of cells, home office, outsourcing, scholarships, etc…). Talents must therefore be attracted early and their self-sufficiency retained; people should feel at home wherever they are. The communication between areas is fundamental for good business performance since this is a chain reaction; if one falters, all the rest suffer. One should always understand what one is doing as well as how and when. At the present time, being in a space accessible to change permits growth, flexibility and greater productivity so that one is able to work differently and dynamically. Unusual common areas were created using private modules, which can be accommodated in many different ways to maximize occupation and increase hierarchical levels without having to work. By standardizing work positions, functional reshaping is achieved allowing work to be done from any angle; by having more conference rooms, spaces for individual and group meetings become available for good informal appraisal for social apprenticeship and innovation, the availability of places to receive visitors, recreation areas that contribute to creative work, plus stationery facilities and storerooms to keep the offices orderly. A technologically progressive, modern and functional office which increases the sense of belonging, possessing equity and flexibility, in a colorful space without barriers, interactive and warm, one that radiates luxury, comfort and the sense of being at home wherever one may be, and which interacts with areas for shutting oneself off and relaxing.